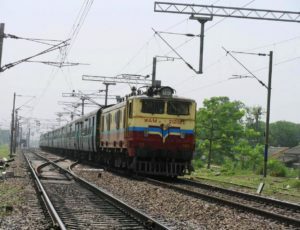 Passengers of the Tata Jat Express were robbed by armed men near Delhi, most of them were returning from the 2019 Kumbh Mela in Allahabad. This is the second train robbery as of today, earlier passengers of the Duronto Express were robbed, the robbery happened before 2am in the morning, the railway added that the robbery took place between Holambi Kalan and Badli. Ramnath Maurya attained a small injury in his left hand after being looted by the armed me, he has been provided medical treatment at a hospital in Panipat. Some of the passengers were bringing expensive mobile phones, cash, and gold with them. This was all looted by the armed robbers. In one incident that happened earlier, one passenger told and wrote a very descriptive and detailed complaint on how they were robbed by the bank robbers, he added that they were looking for help but couldn’t find any.